Osteoarthritis (OA) can affect any joint in the body, including the ankle. Ankle OA usually stems from a previous injury to the ankle, but other factors such as genetics and the way you walk can also cause osteoarthritis. In the foot, the disease most frequently occurs in the big toe, although it is also often found in the midfoot and ankle. Some of the symptoms of ankle osteoarthritis include joint stiffness, pain, trouble walking, and can even cause a person to slip and fall. Since your foot and ankle support the weight of your entire body, ankle osteoarthritis can be very debilitating. Wearing ankle braces for osteoarthritis can help prevent pain and swelling associated with this disorder. 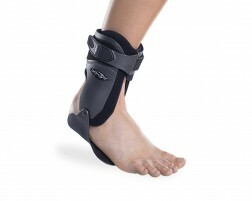 Osteoarthritis ankle braces provide compressive support for your foot and ankle as you walk and perform daily activities. 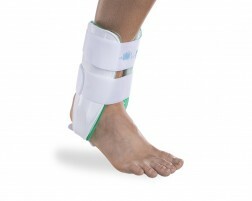 Our bracing experts recommend these ankle support braces for OA. 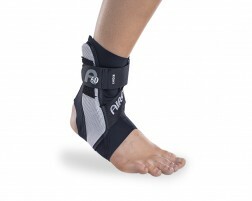 Need additional help selecting an OA ankle brace? Try our guided tool, Brace Advisor, for recommendations based on your desired brace usage and level of activity.